Now that you know how to train your sales team on how to use the HubSpot CRM, your salespeople will be more efficient and move deals down the pipeline faster, meaning higher close rates and an increase in revenue. Download our free HubSpot CRM Guide to learn how to make your CRM work for you. However, there are some do’s and don’ts to keep in mind when installing and leveraging the HubSpot CRM. You may want to post these where you can easily reference them during the integration phase to ensure you make it as smooth as possible! 1. DON’T make it too complicated for salespeople to use. If the CRM is too hard to use, your sales team won’t use it. Make sure you make training as easy and straightforward as possible and don’t overcomplicate the learning process. 2. DO integrate it with company email and phones. This will simplify the implementation process and make the learning curve a lot less difficult! By integrating your company email and phone into the CRM, you’ll show how the tool can make your sales team’s life easier—not harder. 3. DO train your staff over and over again. Make the CRM easy to use so that salespeople can get their jobs done efficiently. Also show them how to use it from their mobile devices so that they can even be productive when on the go. 4. DO give credit when used correctly. Identify people that are “super users” and can be advocates for the HubSpot CRM. You can even give rewards for employees that use it most effectively. 5. 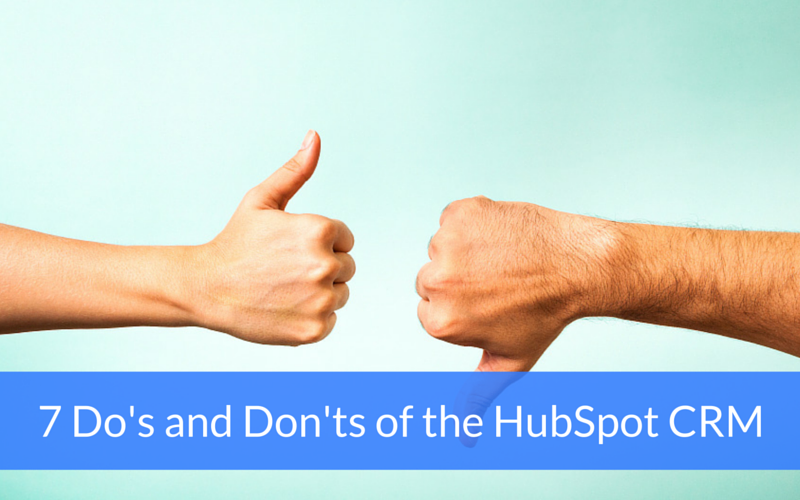 DON’T give credit for anything if it is not documented in the HubSpot CRM. Every company needs to treat the CRM as the only repository for sales history. Every executive in the company needs to use it too (or no one will)! 6. DO run reports from the data often. Answer questions like: What did Sales Rep A do last week? What are the top sales opportunities? Are we going to hit our sales target this quarter? 7. DON’T get bogged down by your CRM. Too many salespeople resist structure, but top performers have a system and a process for delivering consistent results. Although we’re big believers in effective database management, we understand why most sales reps avoid using their CRM; it's because it slows them down. Great sales leaders identify ways to speed them up. Identify a sales process that leverages the CRM in ways that eliminate the clutter. This can be achieved by removing unnecessary fields, drop down menus, redundant statuses, stages, etc. Adopting any new tool can be difficult, and you’ll probably meet some resistance from your sales team at first. If you persevere and show them the value the HubSpot CRM can offer, however, you’ll quickly get your salespeople on board. 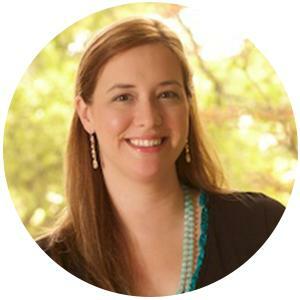 Kasie Dailey is the Director of Client Services at xoombi. She doesn't think outside the box, she believes there is unlimited potential inside it, and creates processes that leave room for the spontaneous. She approaches inbound marketing campaigns the same way she approaches a mural: starting with the end in mind. She constructs her inbound marketing campaigns considering the end of the buyers journey. She spends a lot of time determining how to support the sales staff best by delivering the best possible leads, teeing them up for smooth transactions, and ensuring customer happiness for higher referral rates.